Branch testing and decision testing are closely related. We will treat them same. When 100% coverage is concerned, the two techniques are the same. Branch and decision testing require examination of the source code and the creation of tests that will exercise individual branches of code. A branch is a route from a conditional statement. On a flowchart a branch is a line leaving a decision diamond. For 100% Branch Coverage we should test all branches in a piece of code, we need to achieve all possible results from all of the decision statements. This is the code we used in Statement Testing example. 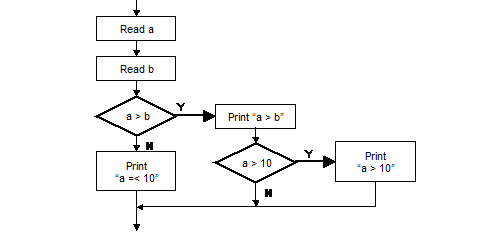 The code reads two numbers into variables (a and b). It then prints out a message indicating which number is the larger. If the number in variable a is larger than the number in variable b then the number a is compared to the number 10. 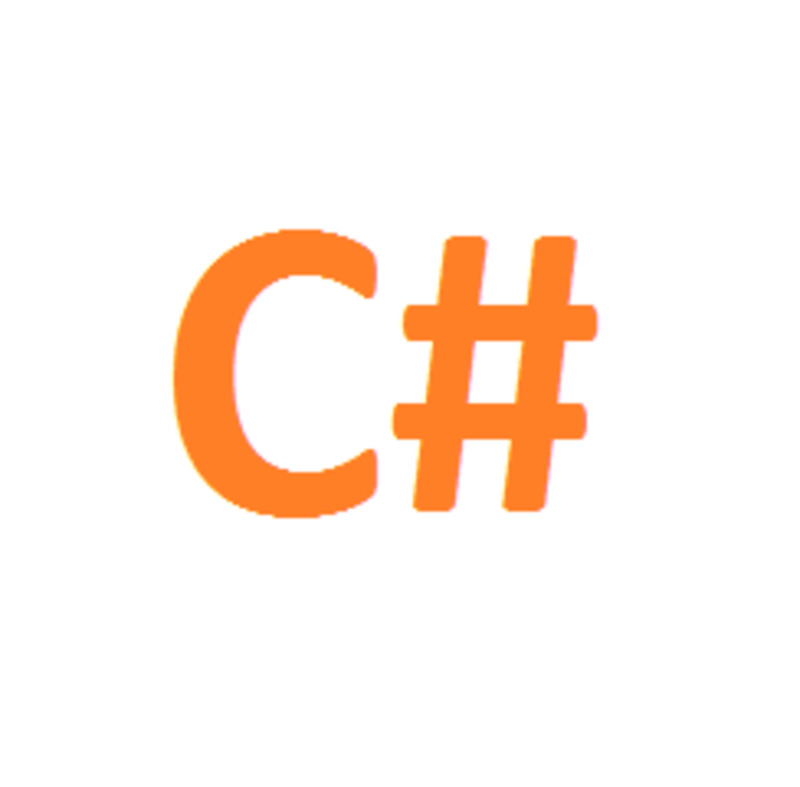 Executable code is indicated in the comments. The ELSE and ENDIF statements are considered to be part of earlier IF statements. 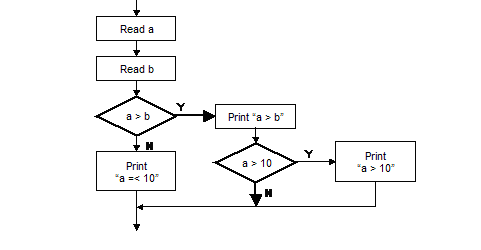 We can represent this code in a flow chart. Every box in the flowchart represents an individual statement. This test has exercised two of the four branches in the code, achieving 50% Branch Coverage. 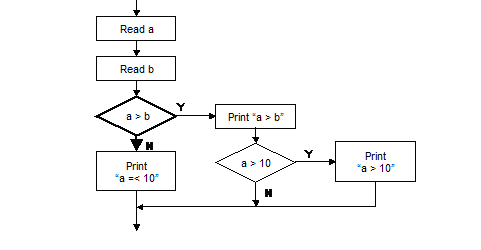 This test exercises one new branch of the code as highlighted in the following flowchart. We have not yet exercised the N branch from the a > 10 test. We have now exercised 3 of the 4 branches, achieving 75% Branch Coverage. The exercised branches are highlighted below. By performing all three tests (Tests 1, 2 and 3) we can test all branches of the code. In this case, 100% branch testing requires one more test than 100% statement testing. This is because statement testing does not require us to test branches where there are no executable statements. It can be shown that 100% Statement Coverage requires no more tests than are required for 100% Branch Coverage. How can i apply Condition Testing for the above example ? ?